Have you ever faced a problem your stonewashed bed linen, or clothes being a bit rough or scratchy after you wash them? We have gathered some easy methods and life hacks for you to use next time its laundry day. After this tips, you will have your Lenoklinen sheets just same as they have been when received - soft, mild and pleasant for a touch. Why do they get hard and scratchy? You should understand the mechanism of how your bedding is getting rough of soft while washing. 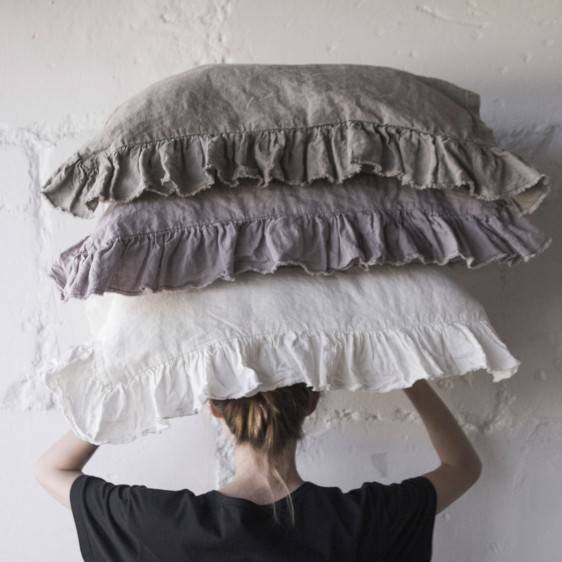 100% linen bedding or clothes are highly absorbent products - they absorb not only liquid, sweat or water but all of the residue that comes from regular exposure to oil and dirt. Washing will most likely be the harshest thing you will do to your bedlinen and clothing. All of the elements that were absorbed by natural fibers are scraping and scrubbing the linen yarns and knots while hard washing - and all of them become more scratchy and rough if dried after this without ant any additional help. 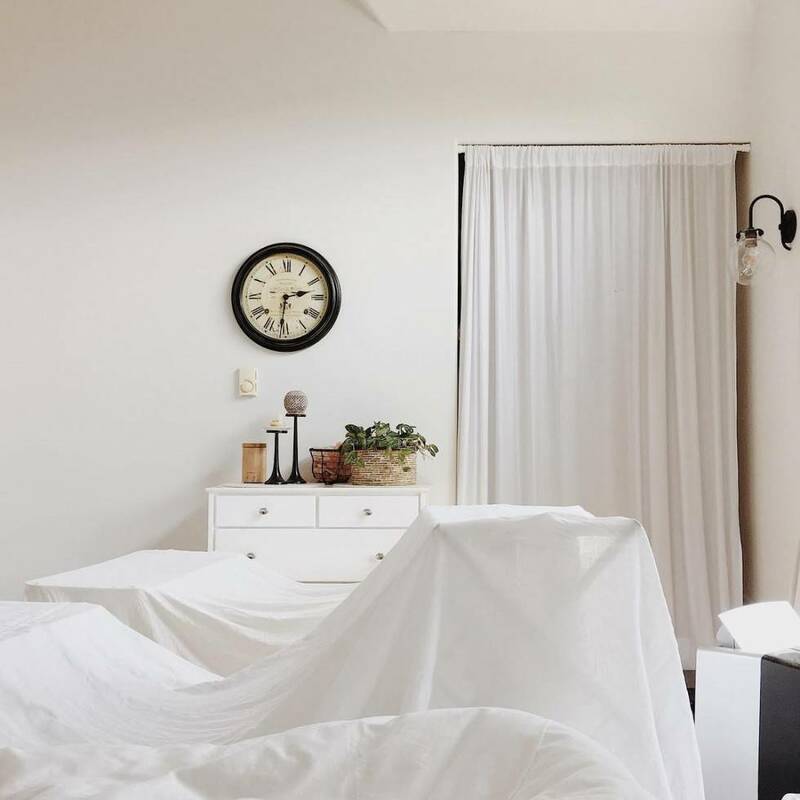 We highly recommend the mildest forms of washing and drying, and try to prevent too dirty and filled with dust - so you get the best out of your beautiful Len.Ok linen bed linens, dresses, or sleepwear. Everybody think that adding extra detergent or new high-recommend fabric softener to the laundry load is doing our clothes, or linen a favor. Sadly it’s quite the opposite for the 100% linen. The detergent strips the natural fiber of its and sticks to the fabric long after washing6 using the much faster process of getting dirty. And of course - allergies ( While the 100% linen is hypoallergenic fiber!) The fabric Softener weighs down the fibers and covers the material in silicon which stops it from being its wonderful absorbent self. This is the main mistake to prevent - as too much of adds can create a layer of build up over the fibers which then gives us the hard, scratchy or not so luxuriously soft material we all once knew. Best friends of your bedding are baking soda and white vinegar. Baking soda and white vinegar work together to naturally break down the buildup of residue that is left behind from your detergent and fabric softener. It gently cleanses and refreshes the material and helps restore it back to its beautiful soft self. Add 1/4 cup of white vinegar instead of softening balm to the rinse cycle. The baking soda raises the alkalinity of the water, which naturally helps boost the power of the laundry detergent so you can use less detergent. Then the white vinegar in the rinse cycle helps remove the excess detergent from the linen and acts as a natural fabric softener. Also, try using slightly warmer water instead of just cold. This will help make sure the detergent is dissolving properly and leaving behind less residue. For our beautiful linen sheets, we only recommend line drying in the shade. This is a sacrificed and magic process of how fibers are losing all liquid and getting soft. MAke a line drying just in your living room.- and the air will be hydrated a day after laundry day. The tumble drying is not so pleasant to your linen, as the heat combined with the tumbling action in some cases can affect the softness of the fabric. If you don’t have an alternative to it - a choose the lowest heat possible for linen sheets. Len.Ok linen dress presentation is here! 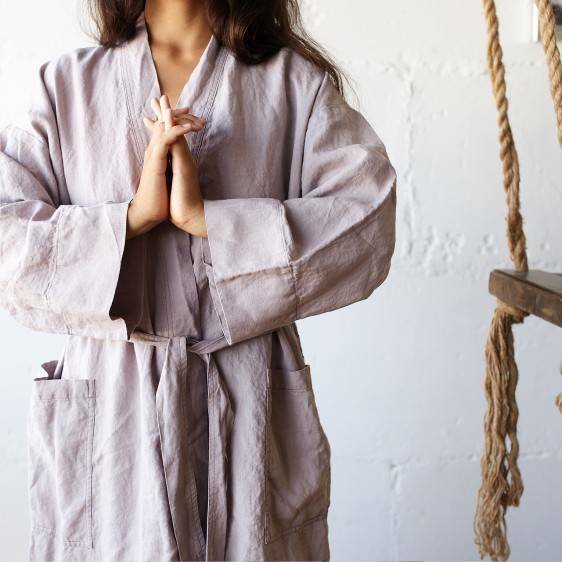 Did you think of linen robe as a street outfit?